The location of St Uny Church is spectacular, being highly visible from the opposite side of the estuary and from out to sea, as well from the St Ives branch line and the coast path. It also has an attractive setting, surrounded by a golf course and set well back from the road. The porch is particularly fine, with good Perpendicular decoration. Internally the church seems spacious, as a consequence of the continuous arcades and the absence of a chancel arch. The Norman arch with its original columns, as well as the Norman font, provide an interesting and intriguing link with the original church. The church is medieval and built of granite. Parts of the nave arcades are Norman, but all of the windows are Perpendicular in style. In about 1150 the church was given to Tywardreath Priory; later the priory sold it to Bishop Bronescombe of Exeter. In 1272 Bishop Bronescombe appropriated it to Crediton collegiate Church. 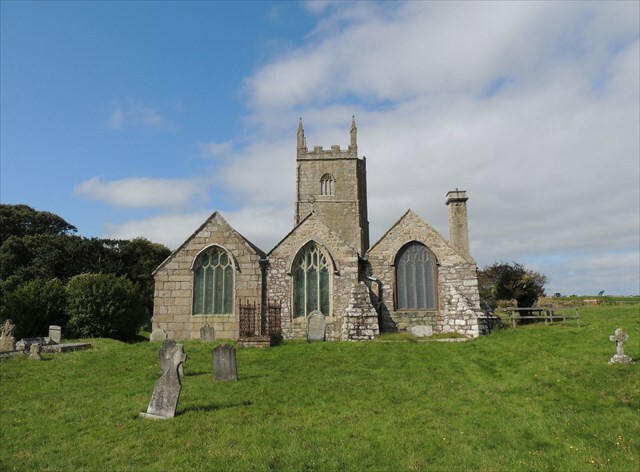 In 1542 the vicars moved their residence to St Ives where they remained for three centuries. An early reference to the church is in 1170, when Thomas Becket, Archbishop of Canterbury referred to "The Church of Saint Euni". The feast of St Uny was observed on February 1st. At the beginning of the 18th-century the church was in a bad state of repair, due to wind-blown sand, and in 1727 a rate (or bounty money) of £263 15s was levied in the parish to meet the repairs. In 1731 there is an entry in the churchwarden’s records of payment of one shilling for one day’s work of carrying sand out of the church. The church was, again, restored in 1873, at a cost of £1,175, by J. D. Sedding. The 12th or 13th century font has an octagonal bowl on a heavy central stem surrounded by completely plain pillars. It was reinstated from a local farmyard in 1889. 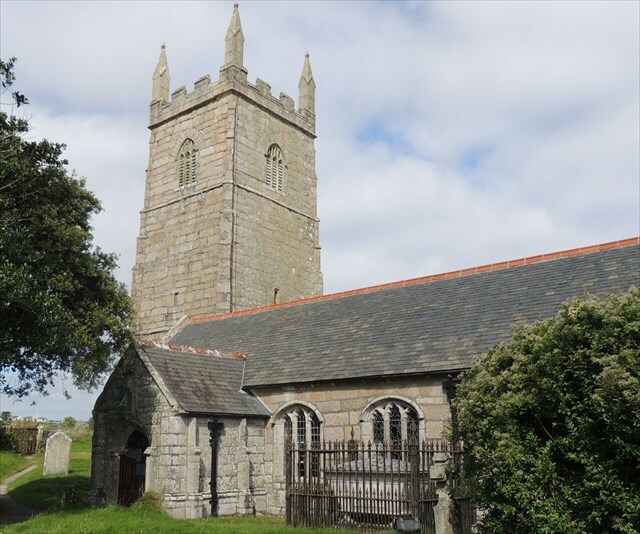 Like many other churches in Cornwall, St Uny's has a copy of a letter from King Charles thanking the people of Lelant for their support during the English Civil War. The headline coordinates take you to the entrance to the Church where roadside parking is available. Zntargvp - jngpu lbhe fcrrq!